Circuit de Charade in Clermont Ferrand, which included public road sections, hosted the French Grand Prix in 1965, 1969, 1970 and 1972. The 8km course fell out of favour as loose volcanic rock and the lack of any real run-off areas took their toll on cars and drivers alike. 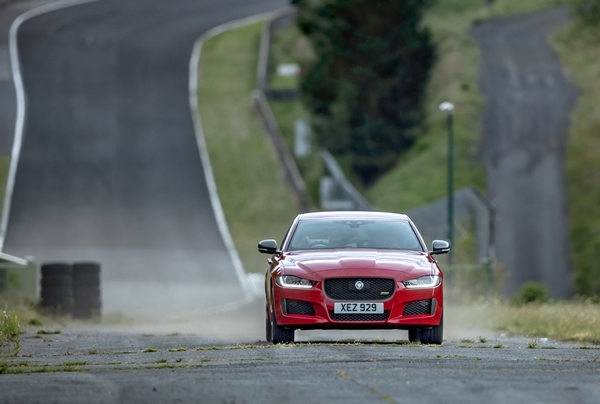 The full, longer circuit was last used in 1988 so Jaguar returned to the historic track to mark the anniversary of its closure by completing the first flying lap of the circuit in three decades, and attempting to set a new lap record for a production saloon. With a roundabout and two narrow gateways not used in the original circuit to contend with, Vincent Radermecker lapped the demanding track in just 4 minutes 09 seconds at an average speed of 116km/h (72mph), to claim the lap record. The XE 300 Sport is powered by a 221kW 2.0-litre petrol engine and is capable of 0-100km/h in 5.7 second. With 400Nm of torque on tap, Vincent was able to exploit the smallest of opportunities throughout the twisty, undulating track, which snakes around the extinct volcano which sits in the centre of the original layout – quite an acheivement. 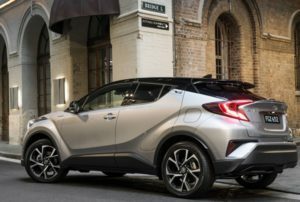 Toyota has enhanced the radical styling of its C-HR compact SUV with the availability of a two-tone paint scheme on a new Limited variant. Limited is available in front-wheel and all-wheel drive, doubles the number of C-HR variants. Pricing is $35,490 and $36,990. The two-tone paint is an additional $400.